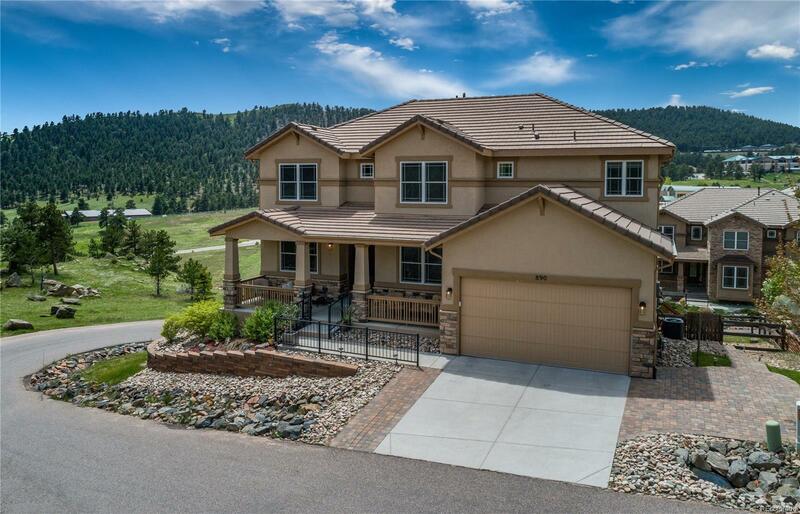 Enjoy Everything Evergreen Has to Offer in this Beautiful Mountain Contemporary w/ Captivating Mountain Views. The Low Maintenance Ext. & Landscaping Enables You to Enjoy the Utmost Colorado Lifestyle of Hiking, Skiing, & Exploring the Outdoors. When you Return Home from the Mountains or a Night in Denver, You and Your Family Can Relax in this 4,265 SF, 6-Bedroom, 5-Bath 3-Story. Settle into Your Front Sitting Room while Enjoying a Good Book or Open Concept Family Room w/ Vaulted Ceilings & Mountain Views. When the Snow Falls, You Can Enjoy a Cup of Joe in Your Open & Bright Chefâs Kitchen or Entertain Family & Friends During the Holidays in Your Formal Dining Room. If the Night is Still Young or You are a Day Sport Enthusiast, You Will Love the Fully Finished Lower Level Rec. Room Designed for a Wet Bar, Media Room & Mother-in Law Suite. As Your Evening Winds Down, Retreat to One of Your 6-Bedrooms on Any Level. Donât Forget the Superb Location Min. from Denver & World Class Skiing.